With new research shining the spotlight on students’ perceptions of value for money, the need for UK universities to produce transparent, student-focused content has never been greater. A well-executed content strategy can help universities recruit students by publishing content that provides genuinely useful information. And considering that 16.1% of students now see a university’s brand as one of the most important factors when choosing where to study, there’s also a need for universities to publish content that reinforces their strengths in the competitive higher education marketplace. It can be tempting for universities to lead their content marketing with their own achievements. But the fact is that students care less about a university’s awards, and more about the quality of teaching they’ll receive – and what that will mean for their future careers. A good higher education content strategy should be focused on its target audience. There are many ways that universities can use content as part of their overall marketing strategy (and we offer some suggestions in this guide), but without first considering the students, a content strategy can become all too focused on ‘us’ and not enough on ‘you’. In a nutshell, a well-planned strategy should focus on highlighting the benefits of studying at the institution. It should appeal to students on an emotional, as well as a logical level using simple, conversational language that people are used to reading – save the academic speak for the lecture theatre. What better way to promote university courses than by providing social proof in the form of case studies? Prospective students are always keen to hear about the experiences of current and past students and how they benefited from their degree programmes. Showcasing positive experiences can strengthen a university’s offerings and help prospective students imagine themselves taking the course. Similarly, staff profiles can add a ‘human’ element to degree programmes. By providing a face to the names behind the programmes, students will feel more of a connection with the content and will be more likely to make further enquiries, or carry out more research. Last year, the University of St Andrews hosted a live chat session with their Students Association and Registry staff, inviting new students to ask questions about the uni. This student-focused approach demonstrates the level of support that students can expect from the University. According to figures reported by technology publication MarTech Series, Generation Z spends 41% of their time watching video content rather than reading written content. With this in mind, video marketing presents universities with a great opportunity to deliver their messages to students in an engaging way. Not only does video boost conversions, but video transcriptions can be reformatted into other types of written content. One university that uses video content as part of its marketing strategy is the University of Liverpool. The University’s YouTube channel is full of student-focused videos, covering a range of topics from careers advice to programme-specific information. One of the biggest challenges facing UK universities is how to continue attracting international students in today’s uncertain environment. According to figures reported in the Guardian, universities have suffered a 7% decrease in applications from international students following Brexit. The need for universities to attract international students is now more competitive than ever, and universities need to consider how their content marketing strategy can enhance their international reputation. One way of ensuring that international students feel included in a university’s focus is by publishing content for students from specific countries. One university that takes a considered approach to international student recruitment is the University of Warwick. The University provides country-specific information for would-be students through their international pages. With an extensive list of countries, the University provides content on a range of topics from student population statistics, to fees and funding information. This localised content strategy provides genuinely useful information to overseas students and provides a welcoming message. One of the best inbound content strategies for universities is to ensure that their degree programme pages are optimised for search engines. Most university course searches start online and the first few search results receive the most visits. Universities can take advantage of increased website traffic by making the necessary adjustments to their on-page SEO. 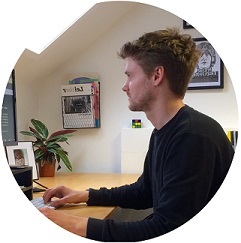 Keyword-rich page titles, informative and persuasive meta descriptions, a good internal linking structure, and a variety of media types should be the staple for every degree programme page. According to landing page software company Unbounce, Higher Education has one of the lowest conversion rates of any industry at only 2.6%, compared to an average landing page conversion of 4.02%. When we consider how few leads universities generate from their course pages, every visit needs to count, and that means ensuring that landing pages appear high in search engines. According to the 2017 International Student Survey, 11.8% of students say that a good careers service with links to employers is the most important factor in choosing a university. With this in mind, universities should aim to provide career-specific information on a public blog (not just internally as part of a careers service). Creating career profiles that provide an overview of the types of jobs available to graduates in specific subjects can be a great way for universities to drive traffic to their website and demonstrate their commitment to providing careers advice. As one of the world’s top 120 universities for employability, the University of Southampton integrates career advice into its programme pages. 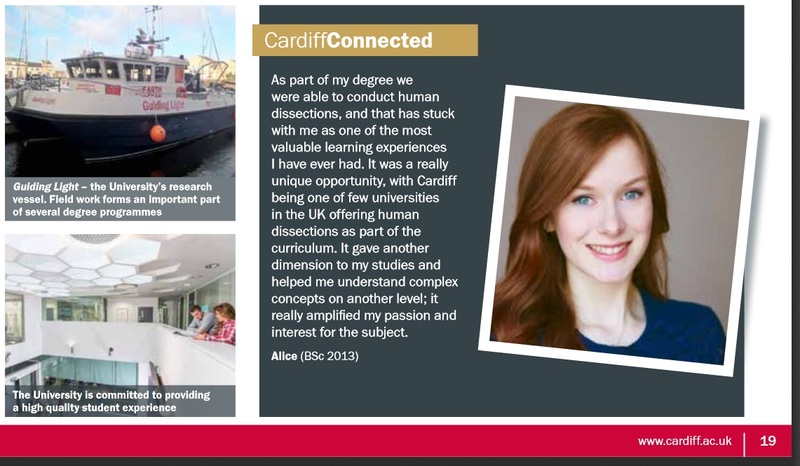 By providing an overview of potential career paths, Southampton’s programme pages strike a good balance between being persuasive and informational. Each career page provides advice on qualifications and work experience and provides external links to other useful resources. Ongoing content marketing takes time and effort and often requires a dedicated team of writers. One way that universities can ensure they consistently publish new and engaging content is to reach out to current students. Student-led blogs are particularly effective at gaining traction on social media as they’re essentially written by students for students. Undergraduates often have a very good idea of what content their peers would like to read. The University of Leicester has its own dedicated student blog that provides current and prospective students with insights into what it’s like to study at the university. This student-focused approach to content marketing can have a positive impact on how universities are perceived by prospective undergraduates. Student blogs also provide aspiring writers, journalists and marketers with the opportunity to gain some invaluable work experience for their CV or portfolio. Universities can improve the transparency of their content marketing by leading with student-focused content that appeals to the needs and wants of new students. Adopting a conversational tone of voice, particularly on social media can encourage engagement and positively influence student perceptions of the university. Showcasing student and staff case studies on social media and programme pages adds a ‘human’ element to a university’s marketing efforts. Video marketing in particular, is an effective way of engaging with new students. Personalised, country-specific content can help attract international students and on-page SEO best practices can help improve search engine rankings of all types of content. Providing valuable careers information and engaging current students as part of the content creation process can have a positive impact on how a university’s value is perceived. Since 2011, Brand New Copy has been helping higher education clients improve their written communications and content marketing efforts. 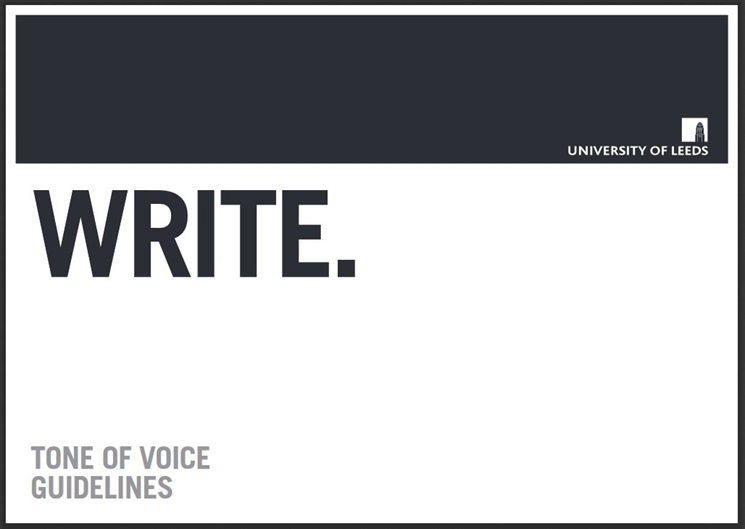 If your university needs help with its written content, get in touch at hello@brandnewcopy.com.